Freckled Fawn does it again with free shipping on any purchase off their site, so I had to jump on it. Got my items today, and I’ll be using most of this for my January PL pages. Since tomorrow starts a new month (already?! ), I’ll be overlapping my project time with these 2 months. I’ll also be expecting the next kit from my Studio Calico sub to arrive soon. Only one thing left to do before I get started, and that’s print more photos! 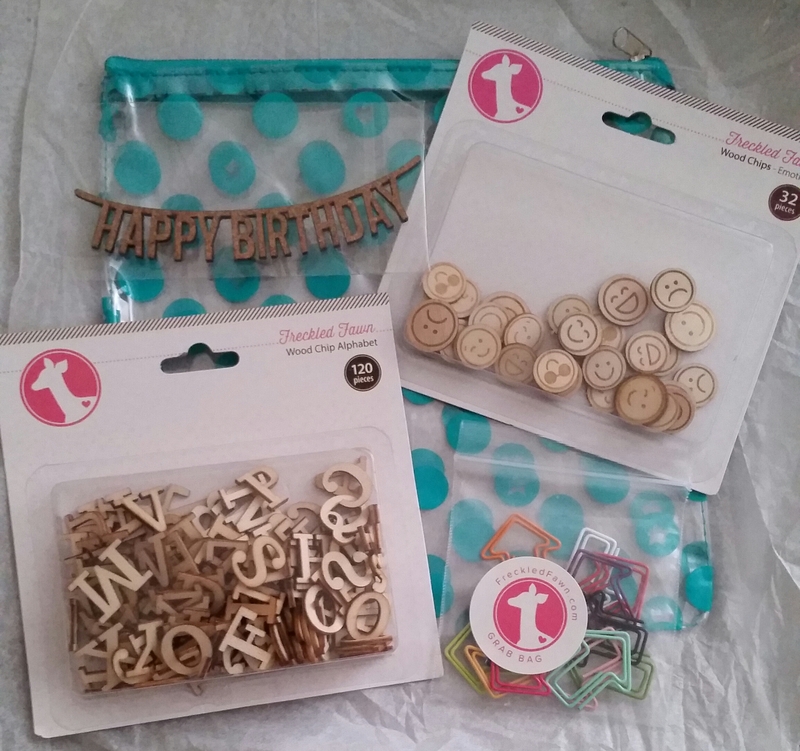 In this haul: Cork banner, wood chip emoticons and letters, small arrow paper clip sampler, and teal star/heart dot zipper pouch. 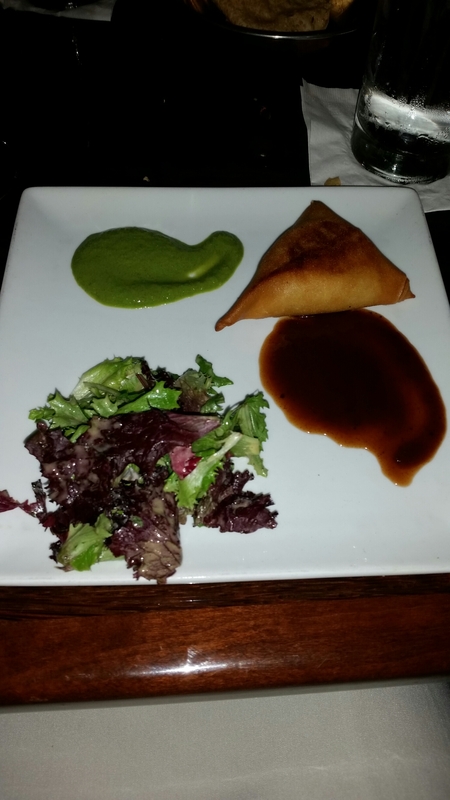 I absolutely love samosas, so this was a very quick decision to make. In addition to the chicken, it also had a nice mix of Indian spices, cilantro, onion, and cabbage. The mint and tamarind chutneys for dipping were a nice compliment. The portion of this savory crepe was nearly enough to kill my appetite before the last course. It came with sambar (a lentil dipping soup) and coconut and tomato chutneys. Made a mistake of biting into a whole chili from the sambar, so my mouth was on fire for a few minutes. Hopefully I don’t ever have to experience that again. This is chicken with a creamy sauce of spices and tomato. 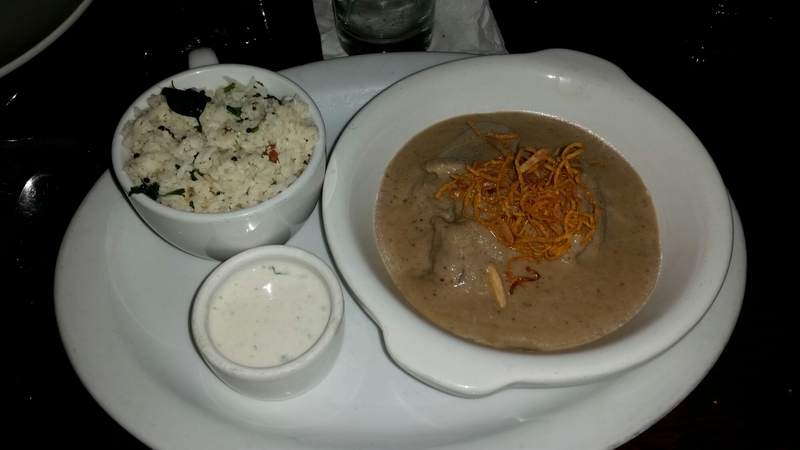 It also came with a side of coconut rice and what looked like a yogurt based sauce. So glad that I chose this because it helped cool down that accidental surge of heat I got from the dosa. For dessert, I split an order of their Bourbon Chestnut gelato (their menu for this changes every so often). It was sweet relief for any remaining heat I had, which wasn’t much, thankfully. Despite that one setback, it was a great experience overall. 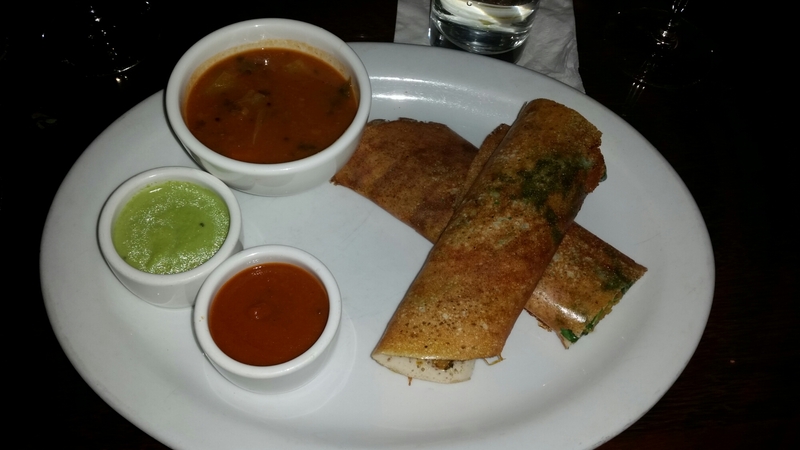 I will try to come back again, especially since I came across their White Truffle Masala Dosa. I gotta try anything with truffle at least once! Wednesday. Middle of the week. Hump Day. Whatever you call it, I use this day to give my face some extra TLC. Aside from using my Clarisonic Mia every 2 days (one of my favorite facial products ever), I wanted to look for something that I could use at least once a week. While randomly browsing at Lush one weekend, one of the employees asked if I was looking for anything in particular. After explaining my plan to her, she recommended the Mask of Magnaminty. 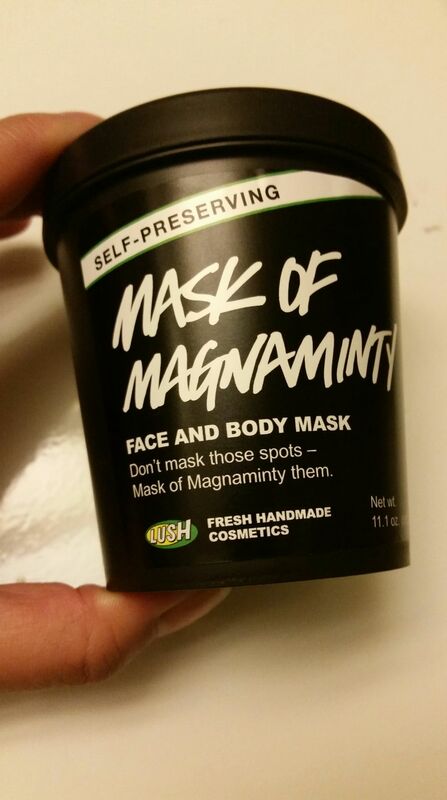 It immediately reminded me of the Queen Helene Mint Julep Masque that I had used while in college. 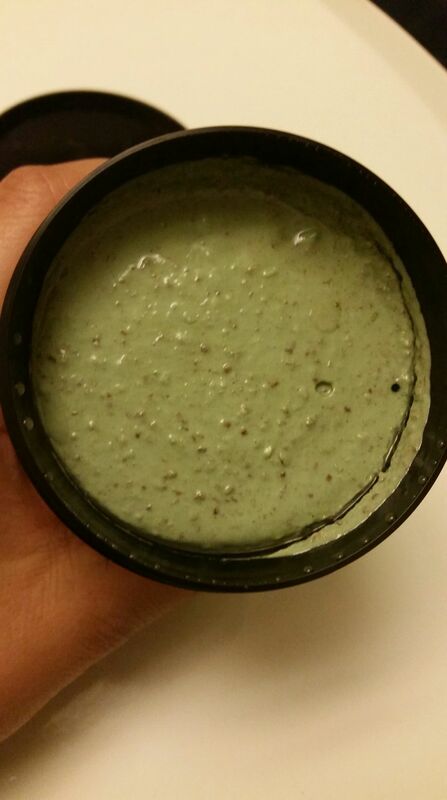 The mask has a nice minty scent, plus it contains honey and aduki (AKA azuki/adzuki) beans to help soothe and exfoliate the skin. This is great for acne prone or combination skin, which I have. I apply this to my face and leave it on for about 10 minutes, then hop into the shower and remove it before continuing with my normal cleaning routine. It’s been close to a month since I purchased this, and my skin feels smooth and refreshed every time I’ve used it. How the mask looks like in the container. Those specks are the aduki beans. I had to reactivate my subscription almost immediately after cancelling it once I found out what would be featured in this month’s box. Voltron Blueprint T-Shirt by Flophouse – I’m pretty sure I’ve watched almost all of the episodes of the cartoon, and I’ve played with my cousin’s Voltron toy on several occasions. They’d be jealous if they saw this shirt, fo sho. 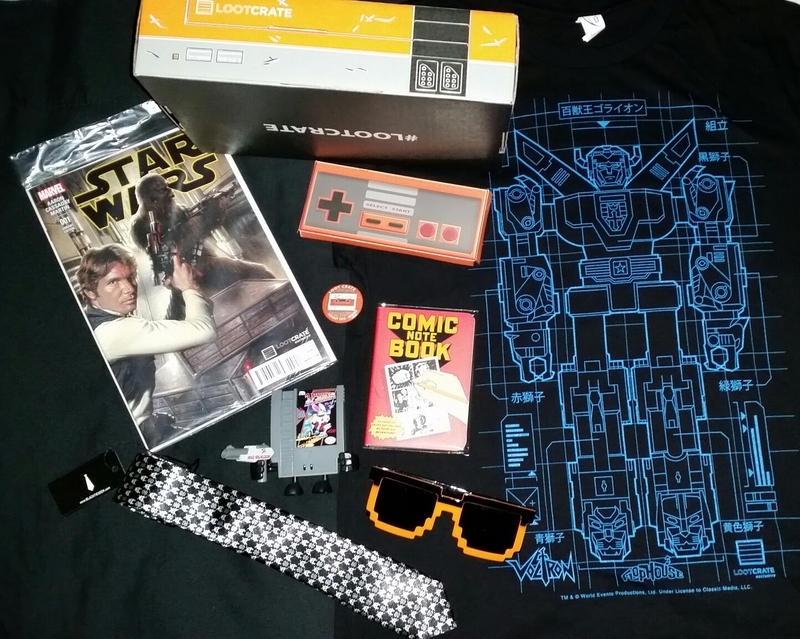 8-Bit Sunglasses by Loot Crate Lab – This one joins the all black pair I purchased a few years ago. Sweet! Star Wars Comic Book Issue 001 by Marvel – Not gonna lie, I was pretty excited to know I’d be getting this. I’ve been following this franchise ever since I was a wee Padawan. 1 Point : 21 Jiggawattz 10-Doh! Figure from Squid Kids Ink – The 10-Doh! series features 3 inch figures that resemble old school NES games. This one even came equipped with its own Zapper Gun! Comic Notebook by Unemployed Philosopher’s Guild – Ever wanted to create your own comic book? This mini version with 60 blank pages and special stencils makes it possible. All Loot Crates also come with a special themed pin. I’ve only received 2 boxes so far, but I just might keep my sub for another month or so just to see what exciting things will be in the next one. I liked 3 out of the 5 items I received. La Fresh Eco Beauty Moisturizer – I used this before heading to work this morning. The consistency wasn’t too thick, and it didn’t feel heavy on my face. The scent was OK. I would describe it as “earthy” , but it was light enough to barely notice. I’ll continue to use it until it’s finished. Pacifica Eye Shadow – I have a few shadows that are similar in color (copper/brown with a bit of shimmer), so this was easy to like. I wore it during the day while running errands one afternoon, and it lasted well into the evening. Also, a shadow that doesn’t crease is a bonus. Elizabeth Mott Shadow Brush – Haven’t used it yet since I have quite a few shadow brushes already. The bristles are really soft, however. Saw some good reviews with this from other ipsy members, so I’ll get around to it eventually. BellaPierre Shimmer Powder – Disclaimer: If it has a hefty amount of shimmer in it (makeup specifically), I probably won’t use it. Not really a fan of the stuff, and unfortunately this wasn’t a product to sway my opinion. The color is a dark shimmery gray. The swatch on my hand doesn’t look too bad. 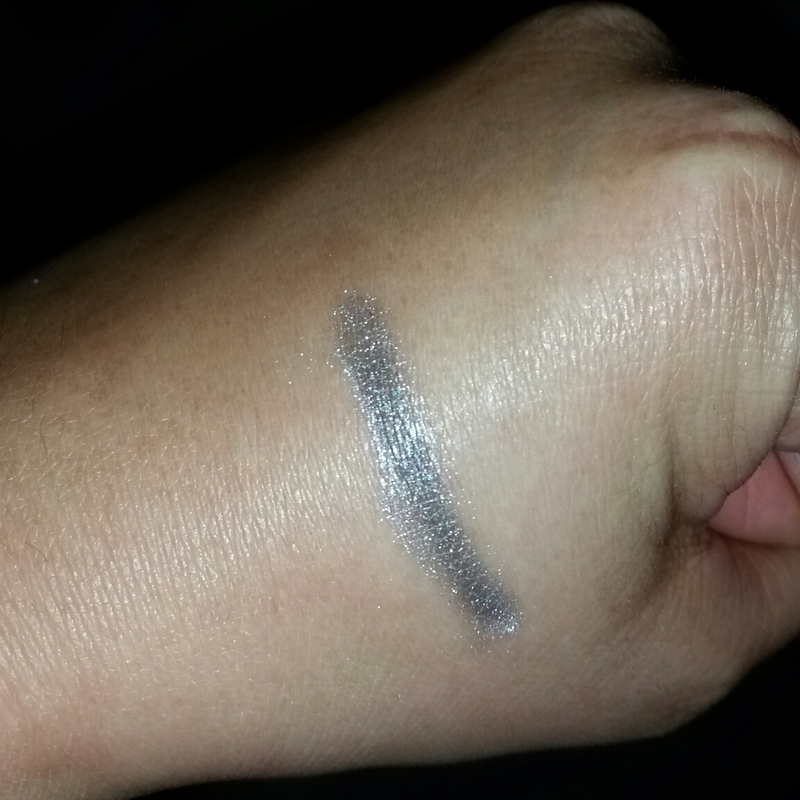 I would use this as a liner or maybe in a smoky eye, but I’ll probably just end up giving it away. Velvet 59 Velvet Rose Lipgloss – Although the color of this was nice and neutral, it felt sticky and needed retouching. Not only did the description of the product state that it smelled like roses, it also tasted like them. Nope, nope, nope! If the flavor of a lip product doesn’t resemble anything close to something edible, I’d rather prefer it have no scent at all. I do hope that I end up liking all of the products from at least one of these ipsy bags that I get this year. I’ll just have to see what happens next month. Had to post this since I live in the Bay Area. Love the sketches he features of the places he saw in SF. Late last month, on the weekend before Christmas, I took a day in San Francisco, just to get out of Davis for a little while and sketch things on ground that slopes a bit. I didn’t have much of a plan beyond “go to the Ferry Building, have a cannoli, draw loads”. So I did. 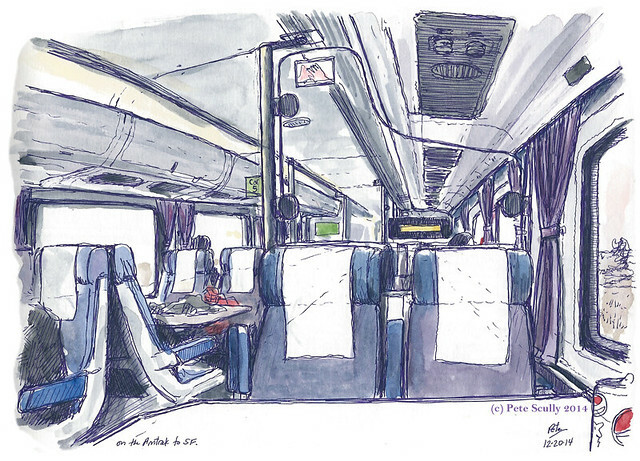 Here’s my sketch from the early morning Amtrak train, above. It’s not cheap, traveling the Amtrak, but it’s a lovely journey and you get free wifi. Putting together my PL pages has been pretty sporadic, but when I get around to it, I highlight a few events that have occurred every month. This gives me some time to take a good amount of photos before I print them out (thanks Costco for the ridiculously cheap price per print), and also contemplate on how I want to do my layout. I’ve again come to a slow point in productivity so that I can take more pictures. So far it’s been fun using different elements from my Midnight Core Kit, Simple Stories Sn@p pack, and the kits I’ve ordered from Freckled Fawn and Studio Calico. I can literally spend hours looking through them to find the right embellishments or journal card to use. There really is no limit to what you can do with this! Chip board embellishments and washi tape from my Freckled Fawn kit jazz up a plain Midnight core kit card. A mix of chip board pieces and alpha stickers on a Studio Calico card. Loving the contrast of this Sn@p card against the wooden JAN embellishment. My favorite card from Studio Calico’s Far Far Away Kit, with the addition of a transparent sticker on a metallic banner. One of the pages I made for my CES/Vegas trip.